Fireworks, preceded and followed by chants of Pakistan Zindabad (long live Pakistan), concluded the HBL Pakistan Super League, with Quetta Gladiators finally finding their mojo and winning the champions title, but the most important innings played in the whole Karachi leg was by the security agencies. If we overlook the blocked roads and traffic congestions during players’ travel to and from the stadium, Karachi welcomed the PSL with open arms. Celebrations broke out on the streets of the ‘City of Lights’ as soon as Rilee Rossouw and Ahmed Shehzad ran the victory run in the National Stadium of Karachi. It was about time that Quetta lifted the trophy since they looked like the side to beat in all three versions before the 2019 edition. While people danced in celebration and before that enjoyed time with family and friends on the streets where screens were set in place for them to watch the marquee final, Sindh Police, Rangers and Traffic Police personnel were seen managing traffic and guarding important places, to assure citizens’ safety. Even during the late night hours in the past couple of weeks, Karachi was filled with security personnel making sure no uncalled-for incident interrupted the peace in the city at any time of the day. After experiencing nearly a decade of unsure safety situation in the financial hub of Pakistan — Karachi — the normalisation felt like a dream come true. While there is a high probability that the strict security setup might disappear since the PSL4 has ended, but the one thing that the event has done is fill Karachiites’ hearts with hope that things are better than before. 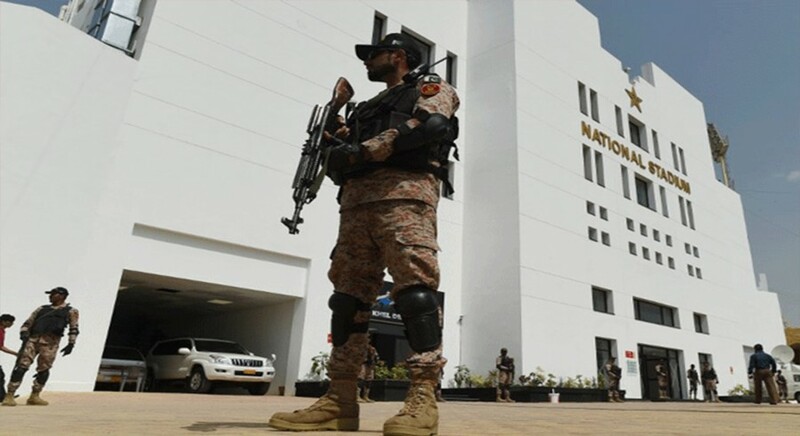 Street crimes, including mobile and vehicle snatching, and target killing sucked the life out of a city which was famous for its nightlife; however, PSL4 and the surety that it brought with itself, not only for foreign players, but also for the resident of Karachi that the city is safe for everyone is a good sign. Pleasantries were earlier in order for foreign players who agreed to give Pakistan and Pakistanis a chance to bring cricket back home, and now they are also in order for everyone involved in successfully staging the eight matches of the PSL4 in Karachi. Moreover, for the people who had to face a hard time during the PSL4 while commuting, things will and surely are getting better. Sacrifices have to be made in order to achieve great things in life, a safe and secure Karachi in this case. Foreign players have started to fly out to their countries now, taking with them the message that this country of nearly 200 million people is as safe and loving as they come, all thanks to the men and women who stood guard while everyone else enjoyed.